So much to do, so much to see. 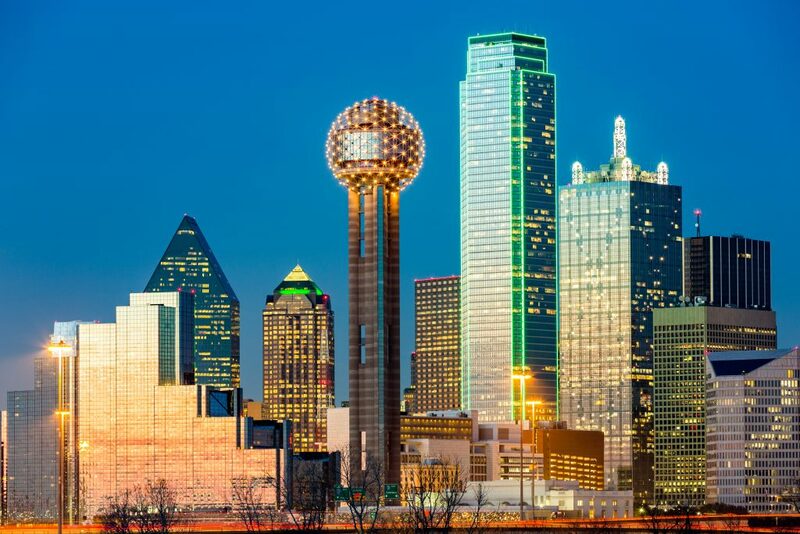 The best places to visit in Dallas and its surrounding cities deliver everything from high-brow culture to Old West heritage. Soak up the wonder of the natural world at area parks, lakes, gardens, zoos, and aquariums, or treat the family to a few thrills at an amusement park. Boredom isn’t an option at these Dallas attractions. There’s no better way to spend a sunny day than amongst the greenery and vibrant floral beds of this 66-acre horticultural haven. 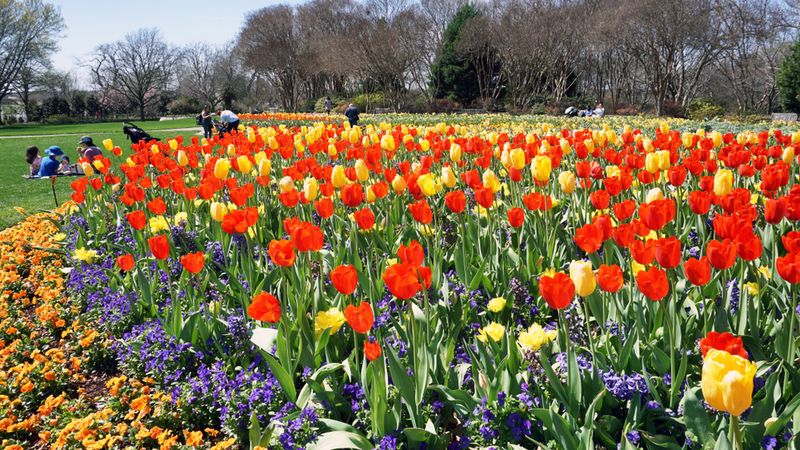 This popular wedding destination and favorite among Dallas tourist attractions features 19 enchanting gardens celebrating every sort of flora and fauna conceivable: roses, tulips, crepe myrtles, magnolias, azaleas, perennials, ferns, Japanese maples, and more, according to the season. Cherry blossom season is a perennial favorite; year-round, the beautifully manicured lawns give way to fountains, sculptures, and waterfalls. To complete the experience, plan a picnic on the grounds or book a three-course afternoon tea. All manner of aquatic life—including coral, seahorses, anemones, and Indo-Pacific fish in every color of the rainbow—is on display at this family-friendly Dallas attraction. 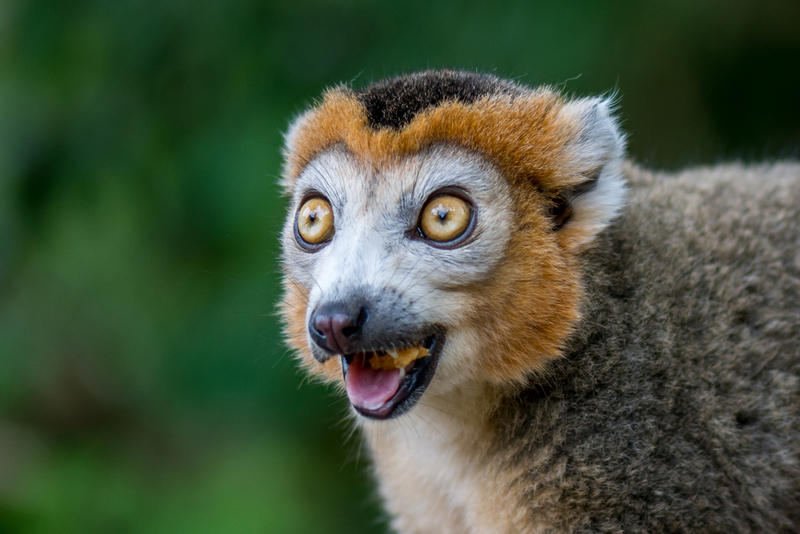 Visitors will also see tropical birds, penguins, otters, sloths, and even the odd monkey at the Dallas World Aquarium. The Orinoco rainforest section is a particular highlight, but if you’re in a more daring mood, head to the Mundo Maya exhibit. 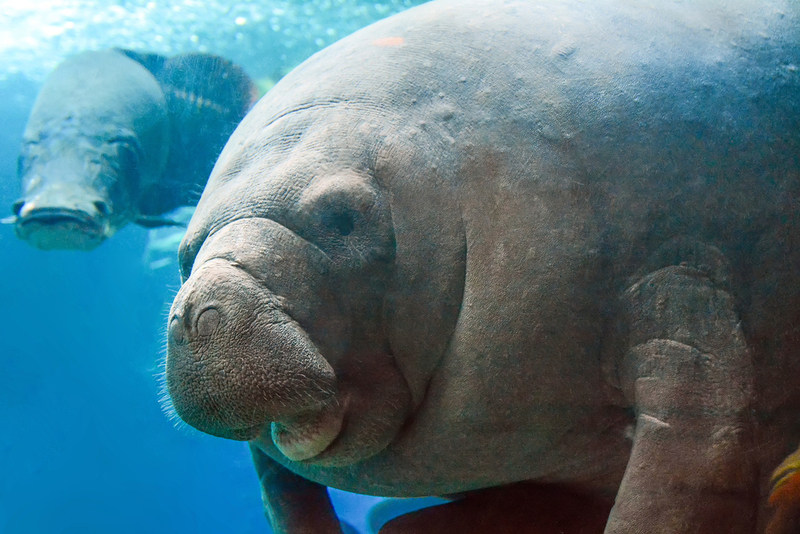 Here you’ll discover boa constrictors, rattlesnakes, and crocodiles, not to mention a massive, 400,000 glass tunnel that only the most fearless visitors walk through while sharks and rays swim overhead. Animal enthusiasts are in luck: Both Dallas and neighboring Fort Worth have sizeable zoos with interactive exhibits, special seasonal events, and attractions tailor-made for small children. Dating back to 1888, the Dallas Zoo is the older and larger of the two. Highlights include an African-inspired savanna exhibit housing elephants, lions, and giraffes; for a small fee, visitors can feed the giraffes by hand. Little ones can be ferried across the 106-acre grounds by the T-Rex Express Mini Train, while a monorail provides a safari-style experience at this Dallas attraction as it glides past hippos, chimpanzees, crocodiles, and African birds. If you want a real slice of Texas life, visit during late September through late October, when the State Fair of Texas descends upon Fair Park for 24 days of Cotton Bowl football rivalries, car shows, rodeo and livestock events, concerts, petting zoos, a 55-foot-tall animatronic cowboy named Big Tex, amusements and arcades, and mind-boggling culinary creations like deep-fried bubblegum and funnel cake bacon queso burgers. 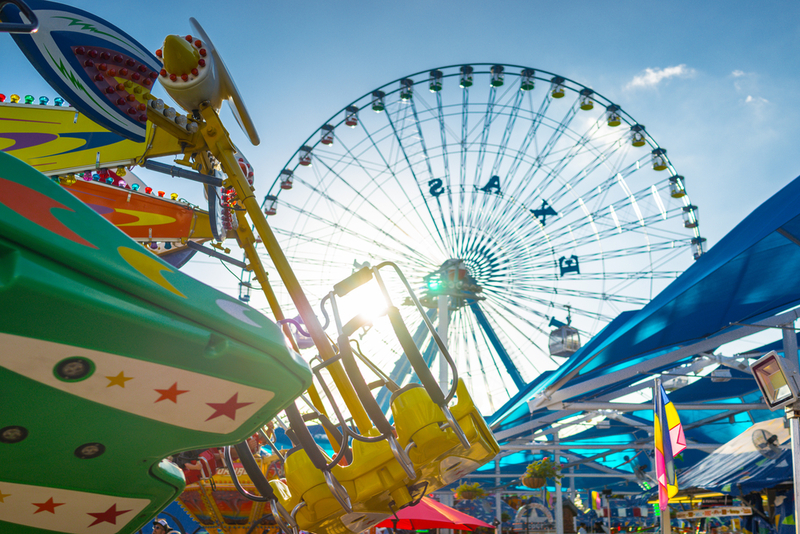 The rest of the year, Fair Park hosts festivals, concerts, and musicals. It’s also home to the largest Ferris wheel in North America, scenic gardens and swan boats, a children’s aquarium, and museums. 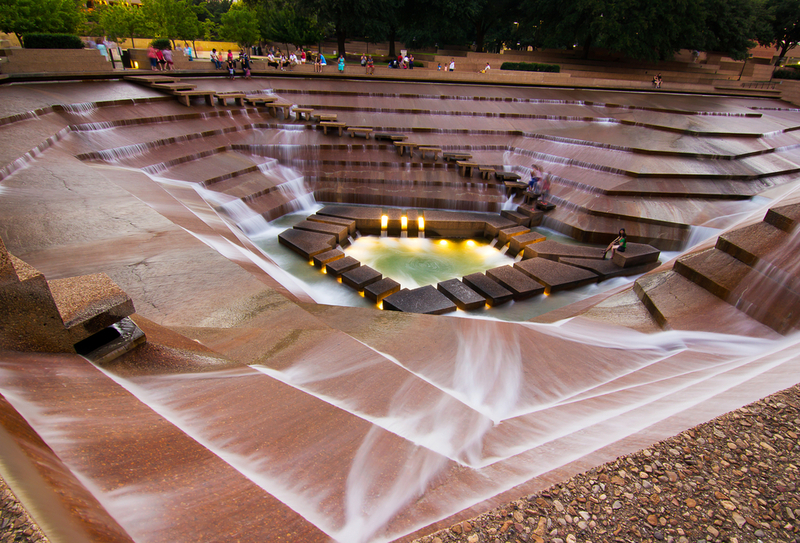 Architect Philip Johnson, designer of the Amon Carter Museum as well as the John F. Kennedy Memorial near Dealey Plaza, created this urban oasis in downtown Fort Worth. Large slabs of stone lead visitors down to three water pools, including a quiet pool for meditative moments. Cascading waterfalls, fountain jets, and Indiana Jones-esque steps contribute to the sense of adventure. 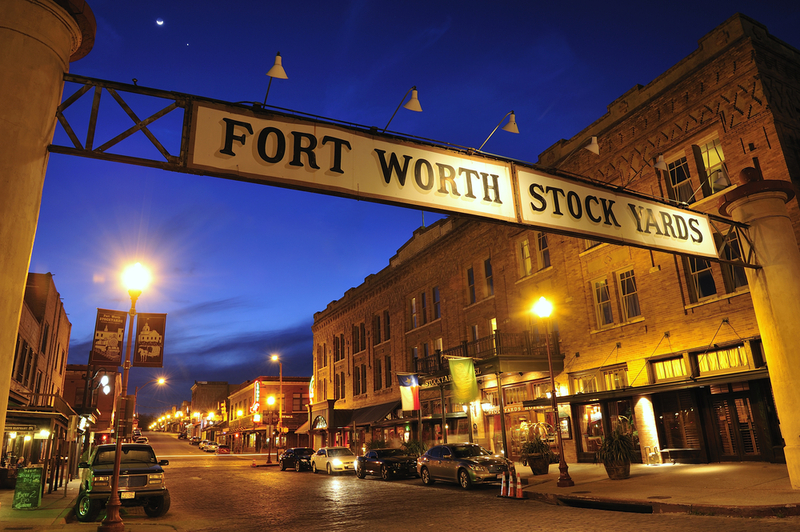 The FW in DFW stands for Fort Worth, located about 30 miles west of Dallas. Known locally as “Cowtown,” the former Chisholm Trail trading post retains much of its Old West roots. Nowhere is this more apparent than at the Stockyards, where cattle drives happen twice daily and the streets are lined with steakhouses and Western wear shops. Mosey on down to Billy Bob’s Texas for the full honky-tonk experience featuring live country music performances, line dancing, and bull riding. Traveling with kids? Rodeo events, a petting zoo, Old West reenactments, and the labyrinthine 5,400-square-foot Cowtown Cattle Pen Maze will keep the little buckaroos busy. Opera, dance, orchestras, theater—you name it, Dallas has it. 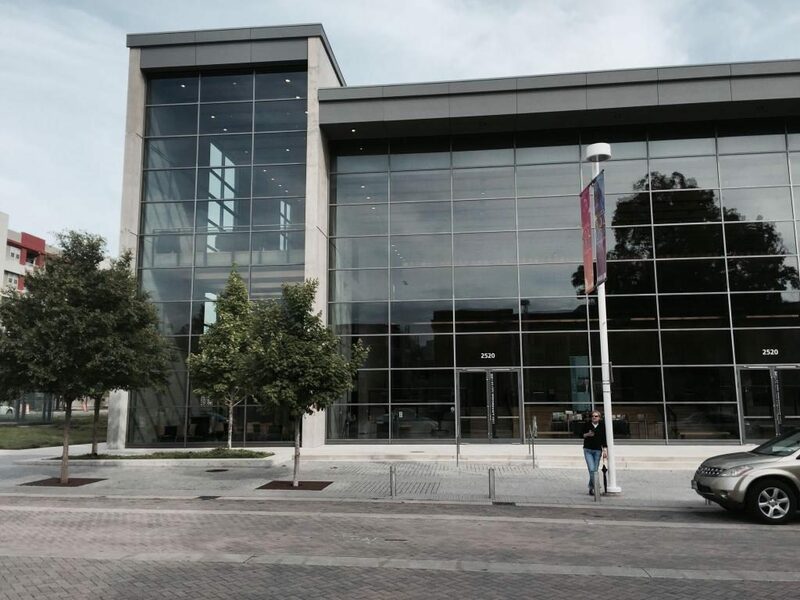 The Dallas Arts District is a hub for performing arts, and Moody offers a nice cross-section of the disciplines. The 750-seat theater hosts musicals, classical music concerts, ballet, cultural events, and other performances from Dallas’ most artistic minds. If you’ve ever seen the Dallas skyline, you’ll recognize Reunion Tower right away. Resembling a 561-foot-tall microphone, the tower is notable for its observation deck offering 360-degree panoramic views of the metropolis below. Higher up this iconic Dallas attraction are two revolving restaurants for diners who don’t mind heights: the casual Cloud Nine Cafe and Wolfgang Puck’s elegant Five Sixty. The latter is one of the city’s premier date night destinations, because nothing says romance like a rotating view. Six Flags is now a global amusement park chain, but the very first one got its start in Arlington, roughly 15 miles west of Dallas. 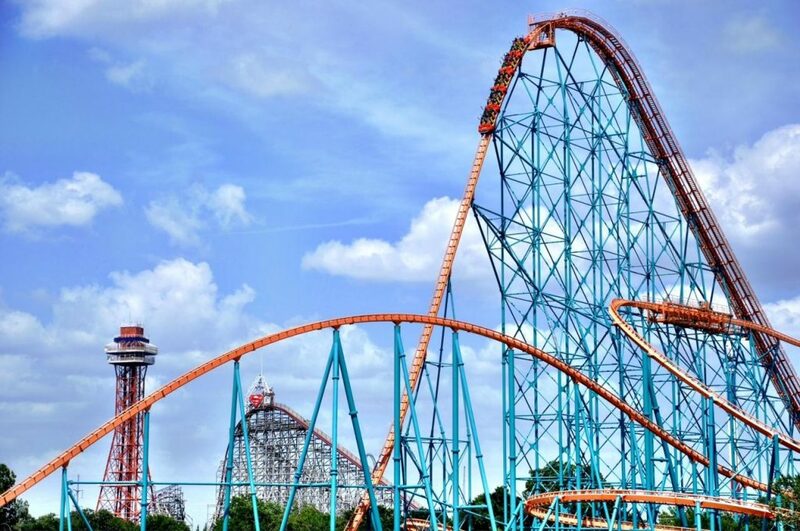 Named for the six flags that have laid claim to Texas, the theme park is best known for its Warner Bros.-branded thrill rides, including Harley Quinn’s Spinsanity and Superman: Tower of Power. For those too little—or too squeamish—for the big coasters, Looney Tunes characters and family-friendly amusements provide plenty of fun without the fright. Six Flags also owns nearby Hurricane Harbor, a water park packed with slides, wave pools, and lazy rivers. One of the biggest Dallas attractions isn’t actually in Dallas. 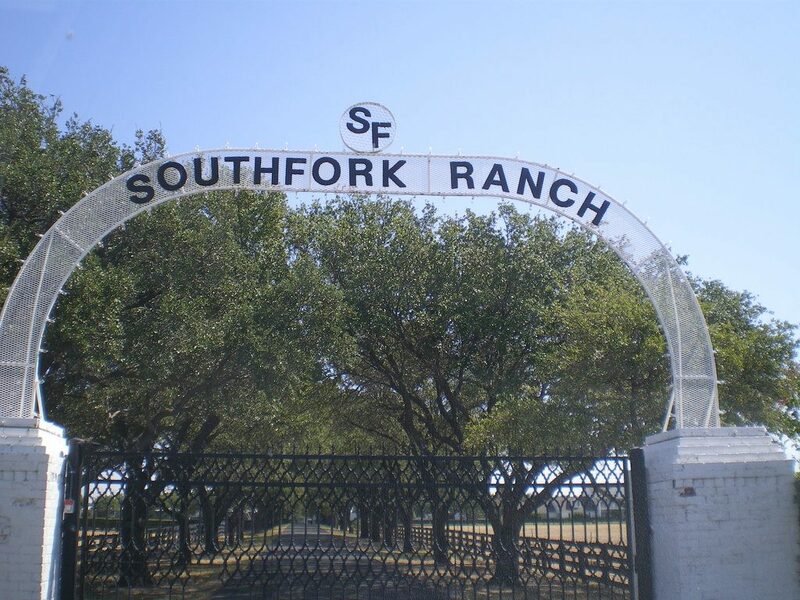 Southfork Ranch, the fictional home of the Ewing family from the iconic TV show Dallas, is about an hour’s drive. The soap was indeed filmed at what is now billed as “the world’s most famous ranch,” and visitors are welcome to take guided tours of the Ewing Mansion, get an eyeful of the gun that famously shot J.R., and saddle up for a trail ride. The sprawling property also doubles as a convention center and event space.